Do your friends or family have a wild side? Recognise their inner animal and wish them a happy birthday this fun and quirky card, part of the Wild Style range from Brainbox Candy. 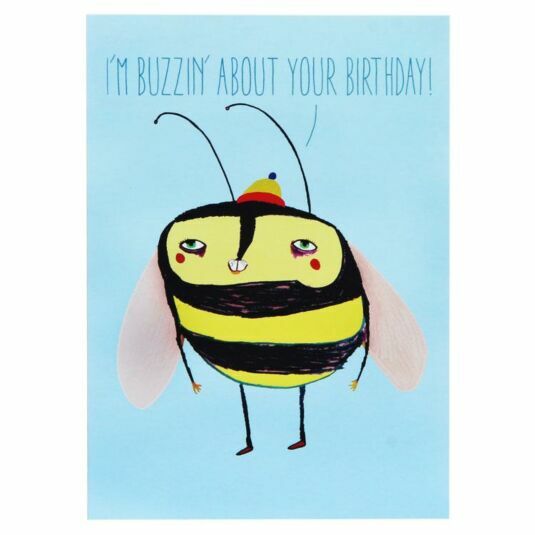 Incorporating a colourful illustration by Ashley Percival, the card features a bee wearing a woolly hat, on a pale blue background. The card includes a natural brown envelope for postage.